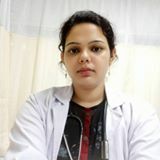 Question: I delivered my baby 1 month 8 days before...after 1 month of delivery i hardly bleed only some blood clot but from last two days i am bleeding again like periods.Is it possible that I am having my period so early after c section delivery. Answer: A c-section does not cause a delay in the menstrual cycle after c-section. However, it does have an effect on the nature of the period. So it's normal to get periods after csection..
My baby is fully on breastfeeding.. Is it still normal..
Answer: hi dear! so after c section your periods can be irregular for sometime but if you getting your periods early dont worry your body is fast in healing dear. so its normal. take care. Question: Is it normal to have heavy bleeding and blood clot after 50 days of c section?? Answer: Dear if it started once your bleeding is stopped then this can be your normal period so dont worry its completely normal.. Question: Hi..i delivered through c-section on jan 1... Bleeding has been stopped before 15 days ..now again its bleeding for me.. Is it regular periods? Answer: Hello dear, yes probably it's your normal period. Though you are a lactating mother but it possible to get period just after one month of delivery. My self is a live example of that. But if it persist more than 7 days and flow is also heavier than usual then immediately consult your gynac. Question: Had bleeding for 6-7 days after c section delivery. Again period like discharge after 7 weeks. Is there anything to worry? Answer: Don't worry it's normal for some women... C section and also normal mumma's case.